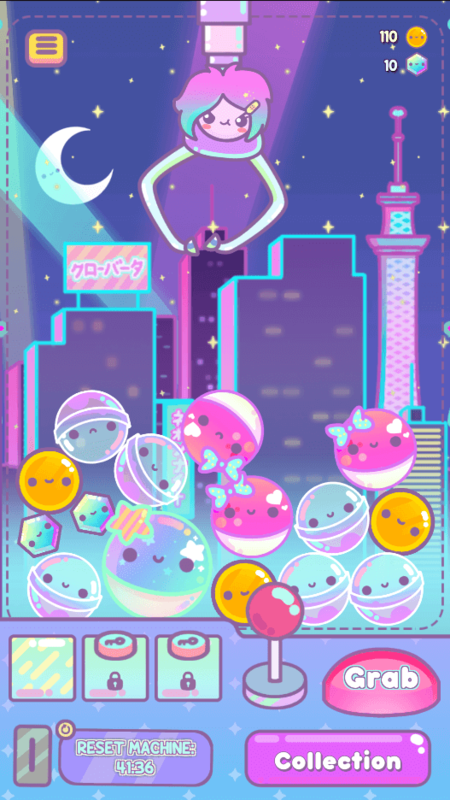 The sassy sequel to Internet’s favorite claw crane game offers more surprises and rewards. Hyperbeard’s Clawberta follows the adventures of Mr. Clawbert’s crush. 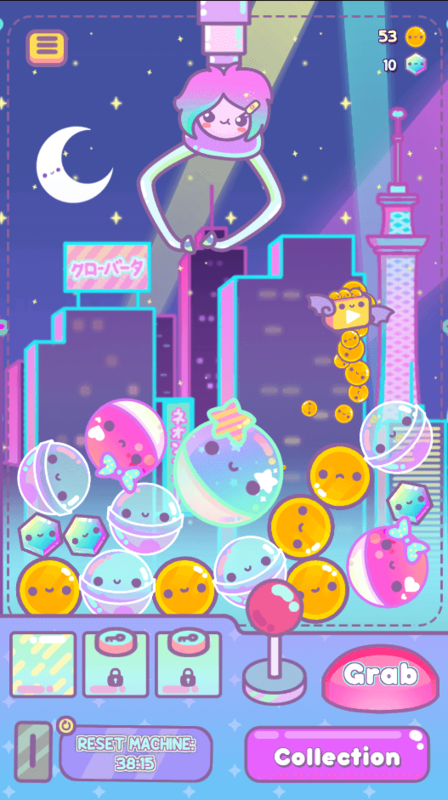 The game lets you collect hundreds of Kawaii gachapon toys from all over the world. Each toy has a weird and funny story to tell. Expand your collection of rare toys by grabbing bigger gachapons. In Clawberta, you will have to move the claw crane using an arcade joystick. Tap and hold the joystick and move it from left to right and vice-versa to change the crane’s position. When ready, tap the “Grab” button and the crane will descend slowly to grab a gachapon or toy capsule. Once it grabs a capsule, it slowly moves up and you get a toy or coins when the crane gets back to its position with the gachapon in its claws. The arcade machine resets every few hours so make sure you grab all gachapons before they are replaced by a new lot. If you have just started playing Clawberta, then try not to spend coins to speed up opening a toy capsule. Grab as many yellow balls as possible to get coins and make sure you watch videos to double the number of coins you receive from those yellow balls. 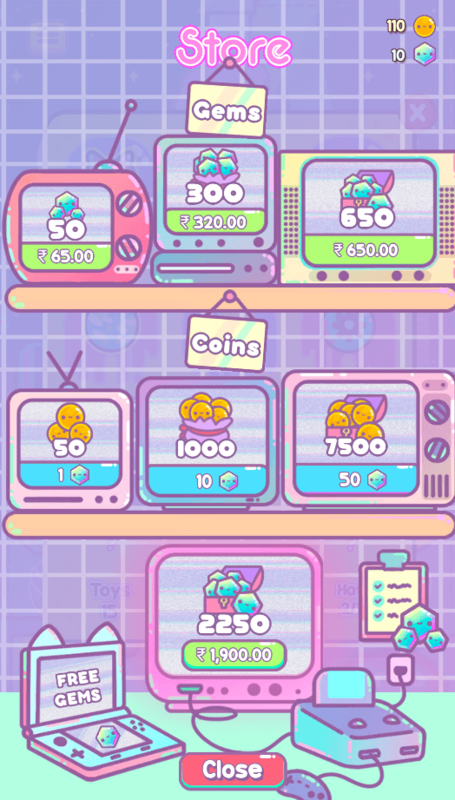 You will get coins instantly from a yellow ball, but you will have to wait for a few seconds or minutes to open transparent and big pink balls or “gachapons” to get coins or toys from them. If you grab a transparent plastic ball, you should wait for a few seconds. In the “Open Gachapon Now” box, tap the “x” button and the ball will move to the empty slot on the bottom of the screen. Wait until the timer hits zero and then tap the gachapon to collect your toy. In the beginning, it will take a few seconds to open transparent gachapons, which is why you shouldn’t waste coins to speed up opening one. Save them to open big pink capsules with ribbons or stars on them as chances of obtaining rare toys are more if you open bigger capsules. The time required to open gachapons and the coins needed to speed up time increases as you progress. Always force-reset the machine after picking up all capsules. You can watch a video if you want to reset it instantly. Until it takes several minutes to open a gachapon, I would not recommend using coins to speed up opening any. Catch yellow balls, watch ads to double the amount and use them when you need them the most. If don’t spend coins to open the transparent gachapon, it will be placed on the free slot and will be ready to open when the timer below it reaches zero. If you don’t have an additional free slot, you can’t pick more gachapons until you open the current one. Even if you try to pick one, the claw crane will drop it as there’s no free slot available. When you get at least 20 gems, quickly use them to open another free slot. In the next paragraph, I will tell you how to get gems for free in Clawberta. Open the menu – it’s located on the top-left corner of the screen. Tap the wobbly checklist. You will be taken to a survey. Get 10 gems instantly on answering 15 questions about yourself. Answer all questions and you might qualify for more surveys. Keep taking those surveys as they can pay up to 300 gems! On the same screen, tap the handheld console and complete offers to earn free gems. These offers range from installing an Android app to completing certain quests or tasks after you have installed the app. Read the description carefully before installing an app to know what tasks you will have to finish to get your rewards. It may take 24 hours to get free gems credited to your account. Certain tasks under the “daily checklist” may grant gems, so make sure you complete all of them. Tap the menu and then tap the checklist icon to see a list of tasks. You will have to wait for 24 hours to get a new list of tasks. When you complete all tasks, you will receive a special reward which may contain coins or lots of gems. Many times, you will notice a gem trapped between gachapons. Use the claw to carefully pick it up. You will receive one gem when you successfully grab it. Bonus Tip: Don’t forget to tap the flying play button. It offers lots of coins. Just tap it and watch a video to get your rewards. Make sure you use a spell word quickly when you spot it on these social media pages. Spell words expire in seven days.